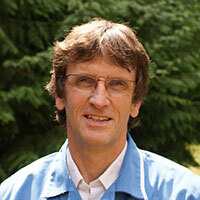 Ian was one of the first private orthopaedic surgeons in the UK. I qualified in 1982 and passed my post-graduate Certificate in Orthopaedics at the same time as opening Macqueens in 1990. I immediately started to take second-opinion (referral) work from practices all over the South West, and have been keeping busy ever since. I now focus almost exclusively on orthopaedics, and consult and operate on most days, Monday to Friday, with occasional appearances in the first-opinion practice. Your first consultation will last 30-45 minutes with subsequent consultations usually lasting 15-30 minutes. 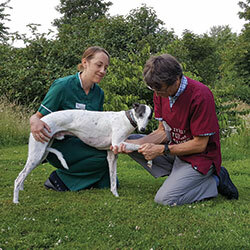 I start with a complete physical and orthopaedic examination, and a review of your pet’s clinical history, with your own vet’s radiographs, if appropriate. This may include taking your dog out to our garden, rain or shine, in order to watch his gait or lameness. Usually, I will consult with you on your first visit and then arrange another date for your pet to come in for their sedation or anaesthetic. However, if a diagnosis is obvious, or time is a concern of yours, it may be possible to have the consultation and surgery on the same visit. I consult at differing times on different days, so Becky, who runs the diary, will help you to find a time that is most appropriate for you. If the consultation has already taken place and your pet is scheduled for an operation, they can be admitted by my nurses, between 8 and 9.30am. Please don’t give them anything to eat after midnight, unless they are on morning medications, when a small treat is allowed. Please let us know if they are taking any medicines for other problems e.g. heart or skin, and when they should be given. They can be allowed water right up until they come in. Please also be sure to give us all the phone numbers that we might contact you on during the day. We always keep you informed as to your pet’s progress, but sometimes there might be a change of plan that will need to be discussed. Shortly after their admission, they will be given a pre-med, consisting of a sedative and a painkiller. This will help them to relax and make for a gentler and safer anaesthetic. 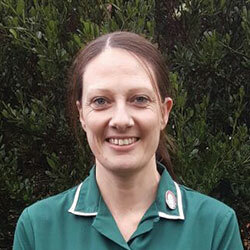 Once the operation or investigation is completed, you will be contacted, either by me or one of my nurses, to let you know and to arrange a collection time, which is usually between 4 and 6pm. Whenever possible, I will see you when you collect your pet but, if I am still in theatre, the nurses will talk to you and I can phone you later if you have more questions. 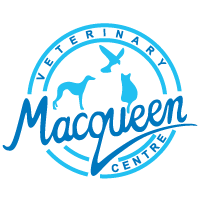 Continuity of care is a very important part of the service that we offer at Macqueen’s. 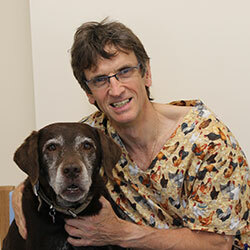 We will work closely with your own vet to provide the best possible care for your pet. Your vet will receive a detailed report after your visit. Your pet remains under the care of your own vet, while I will support the clinical team at your practice with specialised advice as needed. I look forward to seeing you soon, but if you would like any other information, please give Becky a ring on 01380 728505. Please feel free to get in touch if your vet has referred your pet to us and you have any questions.